I first met Michael when I started my Masters’ degree at the University of Kent in September 2005. I had just arrived in the UK, my English was poor, and I was very uncertain if the choice to come to the UK (and Kent) was the right one for me. As part of my Fresher’s week at Kent, we met all academic staff one evening at a drinks reception. Michael was always surrounded by students, and what surprised me was how easily accessible and approachable he was. Of course, back then I did not know how senior of an academic he was, I just really liked him as a person. He was speaking to all students, he was interested in their background, and what touched me most – he was passionate about his own work on federalism, and strongly promoted his modules on federal theory and federal countries. I did a Masters’ degree in International Relations, so choosing Michael’s two classes on Comparative Federalism and Comparative Federations was not a natural choice. I chose them, because I found him so open, friendly and motivated. The classes did not disappoint and before long, I became deeply interested in the field of federalism, decentralisation and devolution. The conditions of studying at Kent at the time were great. Michael arrived in January 2005 after many years at the University of Hull to set up a new James-Madison Trust funded Centre for Federal Studies. This Centre would turn into an elite research institution, and it would produce many fine scholars (and myself of course). What Michael did during the years I worked with him is guide me in the direction of the kind of academic I wanted to be. His ability to take his work extremely serious, but not take himself too seriously in the process, remains an inspiration until today. His motivation and inspiration in his Master classes resulted in my decision to write my MA thesis on federalism in Bosnia. A topic widely ignored in the substantial academic literature on post-war Bosnia, it would take me an additional three years and a PhD thesis under Michael’s guidance before I had at least some clue of understanding Bosnia as a federal model. But these three years were some of the best of my life. Working as a PhD student on a scholarship, teaching as a seminar leader for Michael’s undergraduate EU class, and using every opportunity I had to discuss aspects of federalism, daily politics and general life with him contributed to my thorough enjoyment of my PhD years. What is more, I got to study with some great people, friends who became academics and scholars in their own right. And I got to see the Centre for Federal Studies grow, as a research centre with many publications (between 2006 and 2012, Michael published a book every year or two), and as a training centre for the next generation of Federal Scholars (and again, myself). Michael and his wife Marie-Louise, who worked as an Administrator for the Centre, made every student’s life at the Centre enjoyable, fun and rememberable. When I graduated in 2010, I had already left the Centre – and academia – to work with asylum seekers, something Michael supported (he knew how tough it was to get a job in academia at the time), but something that he always said should be time-limited and he pushed me to keep applying for academic jobs, always referring to “the right time, the right place and the right person”. When I finally got my first academic job at Canterbury Christ Church University, he was delighted. With his career coming to an end, and the Centre winding down with Marie Louise leaving and him retiring shortly afterwards, he was thrilled for me. 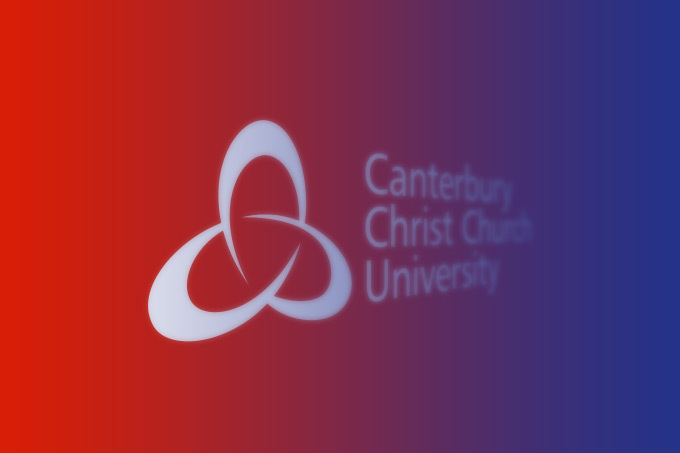 And I was thrilled to be able to include him in some of my work at Canterbury Christ Church University. He taught in our summer school on federalism for many years (and always got the best student evaluations – not that he cared! ), he spoke at an event about federalism and populism in Europe that we organised, and he met and discussed with many of my own PhD students. There is no doubt that his academic legacy will live on. His 2006 book on Comparative Federalism remains probably the leading study in the field, and his 2012 book on the Federal Spirit has opened up a whole new research agenda on new federal models and the role of federal political culture in established federations. His work on European federalism, particularly when first started in the 1980s in Thatcher’s Britain, remains second to none, and everyone who wants to understand the deeper meaning behind the evolution of the European Union must read his book on Federalism and the European Union. I was lucky enough to show my admiration for him when I edited the book “Understanding Federalism and Federation” together with Alain Gagnon, his long-term friend from Montreal, and Sean Mueller, another former PhD student of Michael, which was published in 2015. In it, we collected papers from some of the finest minds on federal scholarship, and the appraisal they had of Michael’s work at times brought me close to tears. The good news is that the book brought Michael close to tears as well, I remember when Alain, Sean and I told him about the project and how surprised and honoured he was about it. Funnily, we could only tell him about the book once we had signed the contract and all authors were on board, because we were afraid he would not let us go ahead with the project otherwise (and he indeed tried to convince us that it was not necessary). In recent years, both his health and the political developments have taken their toll. He has been ill for most of the last three or four years, but he was a fighter. He fought prostate cancer, despite a terminal diagnosis, he fought a severe lung infection, he fought internal bleeding as a result of the radiation from the cancer treatment. He truly was a fighter. One fight he did not win was with his own country. Michael was more than an academic, when it came to examine the British relationship with the rest of Europe. He saw it as his mission to educate the British about the EU as a federal peace project, a Kantian utopia that came to life. That battle he lost, but he did not lose his humour, as the picture demonstrates. He will be remembered for this, as a fighter, as an inspiring academic, teacher and mentor. And as a funny and joyful friend. Michael Burgess passed away on the 4th of February 2018. He is survived by his wife Marie Louise, his son Adam, and a whole generation of scholars that he trained, motivated and inspired. Farewell my friend. Farewell my mentor, Farewell my professor! Dr Soeren Keil completed his PhD under Michael Burgess’ guidance between 2007 and 2010. He is now a Reader in Politics and International Relations at Canterbury Christ Church University.